A lawsuit claims New York police engaged in a discriminatory policy when it carried out surveillance on Muslims in New Jersey after 9/11. While a federal district court dismissed the suit a year ago, lawyers are now seeking a reversal in appeals court. Lawyers for the plaintiffs argued before a three-judge panel in the appellate court in Philadelphia on Tuesday to reverse the decision in Hassan v. City of New York, which challenged the constitutional legality of the New York City Police Department’s blanket surveillance of Muslims in New Jersey. The arguments center on the alleged injuries to Muslim mosques, merchants, and worshippers targeted by the program, and whether the NYPD’s response was appropriate after the September 2001 terror attacks. “What happened since 9/11 and what happened in Paris the other day suggests that this kind of action may be needed to ferret out terrorists,” said Judge Jane Roth, according to Bloomberg. The surveillance, first exposed in a series of articles by the Associated Press and said to have been in operation for over a decade, is known to have included spying on 20 mosques, 14 restaurants, 11 retail stores, two grade schools, and two Muslim Student Associations in New Jersey alone. The monitoring included video surveillance, photography, community mapping, and the infiltration of places of worship. 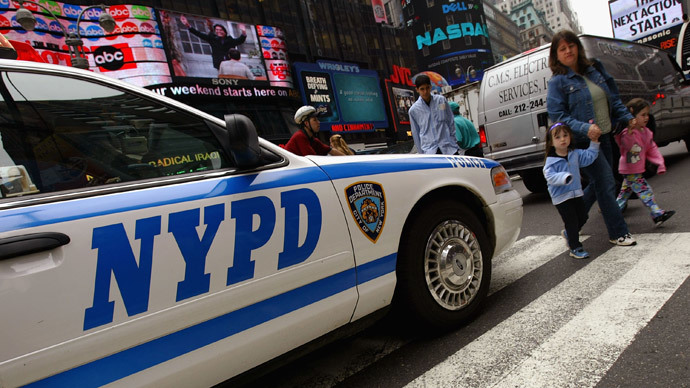 The NYPD also admitted that in more than 10 years of operation, the spy program failed to produce a single lead. The lawyer for the city, however, said there is no policy of targeting Muslims. The federal court dismissed the suit in February 2014 when it ruled that the surveillance did not harm any of the 11 plaintiffs, and that if anyone did suffer harm it was because of the reporting by the Associated Press on the surveillance. The court also accepted that spying on Muslims was justified in response to the September 11 attacks. The NYPD has said it recently disbanded one of the main units conducting such surveillance, but lawyers say there is no evidence that it has abandoned the unlawful targeting and profiling of Muslims.